Clare was a traveler on the very first trip in 1934 and then on the 1937 trip. 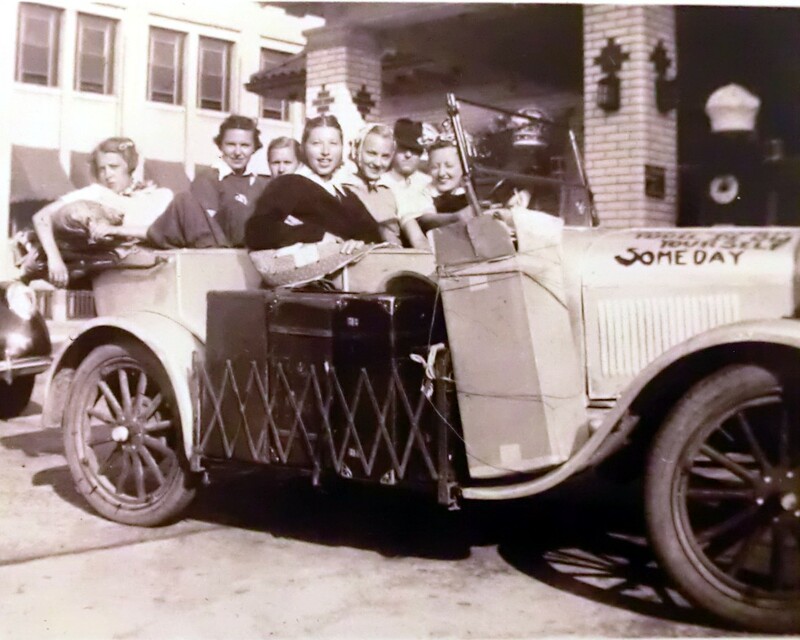 In 1937, six Bradford girls, Darlene Dorgan, now Mrs. Charles Bjorkman, of Riverside, Calif.; Ruby McDonald, now Mrs. Lloyd Nutter, of Peoria; Helen Feurtges, now Mrs. John Hickey, of Camp Grove; Clare Breen, now Mrs. Francis Russell, of Tiskilwa, the late Miss Eleanor Butte, and Miss Marge Dorgen took off in the “Silver Streak” mainly to visit the home of the famous Dionne Quintuplets in Ontario, Canada. While on this trip, the girls were entertained at dinner at the home of Dr. Allen Roy Dafoe, in Callendar, Ontario, Canada. Dr. Defoe was the doctor who delivered the Dionne quints.